Attempts are being made through "external linkages" to "revive insurgency" in Punjab and if early action is not taken, it will be too late, Army Chief Gen. Bipin Rawat Saturday said. He was addressing a gathering of senior Army officers, defence experts and former senior officials of government and police at a seminar here on 'Changing Contours of Internal Security in India: Trends and Responses'. Rawat also said that attempts were being made again through "external linkages" and "external abetment" to revive insurgency in Assam. "Punjab has been peaceful but because of these external linkages, attempts again are being made to revive insurgency in the state," he said, adding, "we have to be very careful." "Let us not think that Punjab (situation) is over. We cannot close our eyes to what is happening in Punjab. And, if we do not take early action now, it will be too late," he said. Punjab saw one of the worst phases of insurgencies in the 1980s during the pro-Khalistan movement which was eventually quelled by the government. Former Uttar Pradesh DGP Prakash Singh in a panel discussion also highlighted the issue and said "attempts were being to revive insurgency" in Punjab. He referred to a pro-Khalistan rally organised recently in the UK aiming for a 'Referendum 2020'. Hundreds of people had turned out at Trafalgar Square in London on August 12 in support of a pro-Khalistan rally as well as to counter the event with an Independence Day celebrations. Sikhs for Justice (SFJ) had said its rally was intended to raise awareness for a non-binding referendum in 2020, calling for Punjab to be granted independence. The "We Stand With India" and "Love My India" events were organised by Indian diaspora groups as a reaction to the pro-Khalistan "London Declaration for a Referendum 2020". 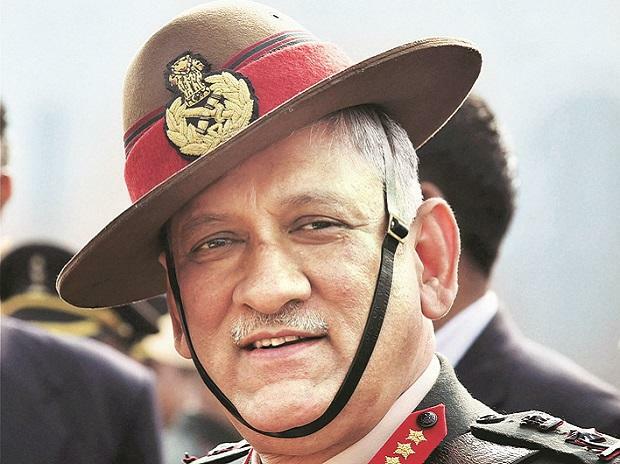 Internal security is one of the biggest problems in the country, but question is "why we have not been able to find a solution, because it has external linkages," Gen Rawat said. The event was organised by defence think-tank CLAWS (Centre for Land and Warfare Studies). Rawat is its patron. Asserting that insurgency cannot be dealt with military force, he pitched for adopting an approach in which all agencies, the government, civil administration, military and police work in an "integrated manner". "The resolution of Naga insurgency can be forerunner to the Manipur insurgency situation. There are some linkages between the two. But, if that resolution does not satisfy Manipuris then the insurgency in that state will take a different turn, Rawat said. As far as Assam is concerned, attempts are again being made, through "external linkages" to revive insurgency in the state, he said. And, also through external abetment, and acknowledged once even by the "northern neighbour". So, there is no denying the fact that there are these factors, Rawat added.